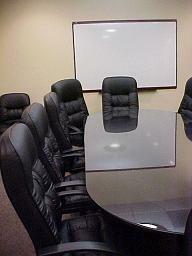 Our spacious conference room is open to the public for group and organizational meetings. 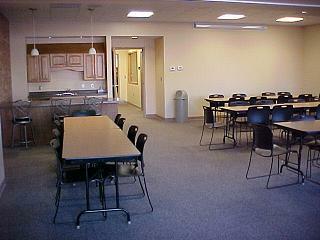 The room is equipped with an LCD project, sound system, computer, tables and chairs, and a serving area. A divider is also available in order to make the room into two smaller spaces for meetings. 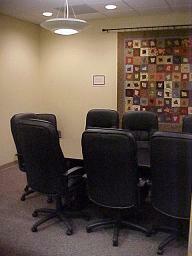 Our Board Room is a great place for small groups of 12 or fewer to gather for a metting. The 10 foot conferent table, 10 captain chairs, and two side chairs provide comftable seating for everyone in your group. There is also a credenza, large screen TV equipped with VCR and DVD player, dry erase board, and a portable LCD projector available for use in the room. Data ports are also located in the room for us of laptops. The lights are on a dimmer switch to allow for easier viewing of projected presentations.
. In this section we give only a brief summary recommendation for admission of Levitra Sale. Full information can be found in the instructions for receiving medications with vardenafil.